The world is facing a monumental food security challenge: we need to produce 70% more food by 2050 to feed an estimated 9 billion people. This problem is compounded by agriculture’s vulnerability to climate change. And to make it even more complicated, agriculture is part of the climate change problem: the sector generates 20-30% of the total greenhouse gas emissions. 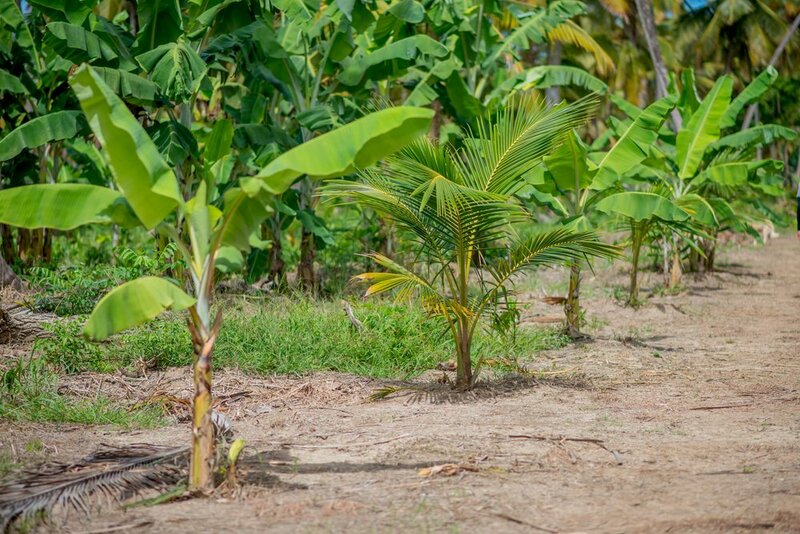 1) Increasing agricultural productivity: from when we started working in Guyana we learned something very quickly: lack of availability of high-quality coconut seedlings was holding back the entire industry. This was validated by an academic research paper run by Duke University. We have spent hundreds of thousands and USD investing in what we believe to be the Caribbean's largest private coconut seedling nursery. 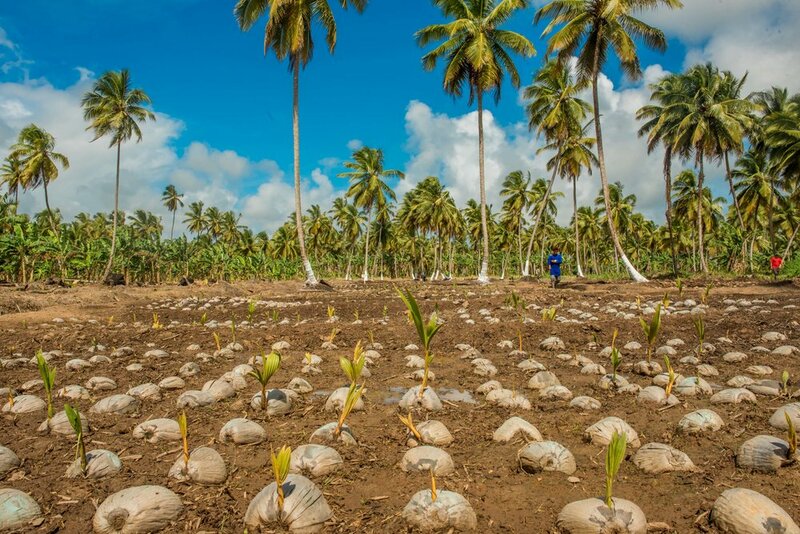 This matters because high-quality seedlings drive productivity in future years: coconut yields can vary from 50-250 coconuts per tree, a massive variation that will define the success (or not) of estates for the next generation. We hand-select seednuts, grow them in our nursery in controlled conditions and then plant in the fields at the right time. We also share our innovations with the local community - teach seminars to smallholder farmers and sell seedlings at affordable prices. 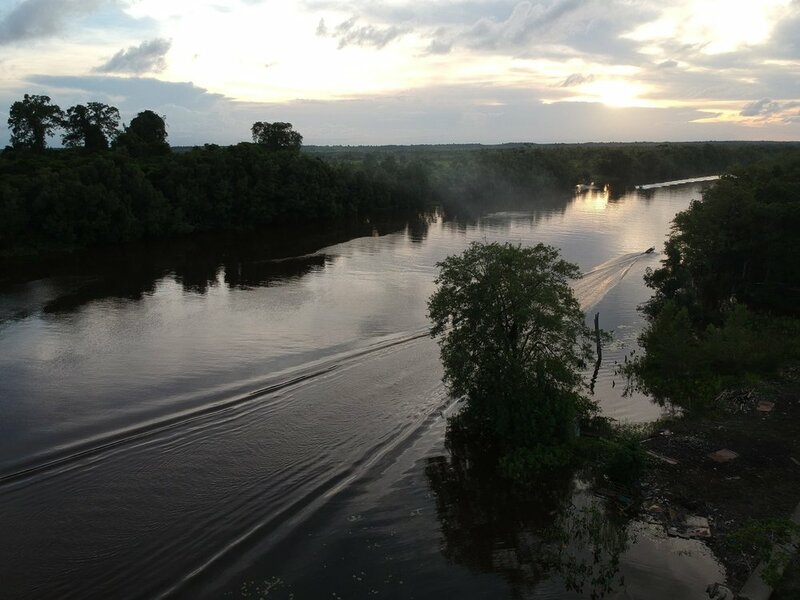 2) Building resilience: we farm an area of land sandwiched between the Pomeroon River and the Atlantic Ocean - climate change is an existential threat to the farming communities of Guyana and we take this very seriously. We have constructed extensive drainage across the farm: digging drainage canals from end to end, and then smaller drains literally every 5-10m through on a grid pattern. With cokers (adjustable water gates that allow water in/out) we now have complete control over water levels within the estate. Moreover, we are bolstering the natural mangrove defences along the waterside - environmentally-friendly protection against flooding and soil erosion. Drainage canals aren’t just for flood protection - they’re for transporting crops also! 3) Reducing greenhouse gas emissions: Reducing or removing greenhouse gas emissions: coconut trees have proven potential for carbon sequestration (a net positive effect as carbon is removed from the air and sequestered in the trees). According to an independent assessment, the greenhouse gas emission reduction potential of 60 trees per acre in a 1,000 acre estate is around 2,400 metric tons of CO2 equivalents per year. We are planting over 65,000 trees in the Pomeroon (one of the largest tree planting efforts). Because of our leadership in this area we were invited to be Guyana's first member of Initiative 20x20, the World Resources Institute programme to fight land degradation. (1) Journal of Urban, Rural & Environmental Resilience: featured Pomeroon in an article entitled “In Guyana, This Coconut Producer Has Restored 1000 Acres of Degraded Farmland” about the intersection between environmentally sustainable business and profitable business. (2) Spore: the publication of the Technical Center for Agriculture and Rural Cooperation featured Pomeroon in an article entitled "A more Resilient Approach" about how development banks and private lenders are developing innovative blended finance and risk-sharing solutions to tackle the effect of climate change on agriculture supply chains. Journalist Caroline Popavic from Martinique la 1ère filmed a feature about coconuts in Guyana. The documentary (in French) tells the story of the rise of Guyana’s coconut sector from the perspective of both smallholder farmers and large integrated companies. In a new report on the global coconut industry, Agronomy Capital Advisors argue that the industry is separating into “well-funded, progressive and vertically integrated agro-industrial coconut producers” and “dispersed smallholder production”. The report adds that “very small (less than 1 hectare) and widely scattered, subsistence farms across Asia … account for more than 70% of the global coconut crop”. These are ageing and low-yielding estates (the Philippines average yield is less than 4MT/ha) in areas with “near-impossible logistics” and basic local processing facilities. In comparison, South America - led by innovation and scale in Brazil - benefits from “technologically based farming, with advanced irrigation systems and high yielding varietals, purpose bred for specific product niches” and “a sophisticated modern distribution network”. Pomeroon Trading is featured on page 55 and one of the report’s authors visited The Stoll Estate (Guyana) as part of an on-going collaboration. And harvested hundreds of thousands of coconuts! ... and finally into this! ... and even planted the Pomeroon's first passionfruit and avocados! Next up: a computer center at a primary school! Initiative 20x20 is a country-led effort seeking to change the dynamics of land degradation in Latin America and the Caribbean by bringing 20 million hectares of land into restoration by 2020. Pomeroon Trading was invited to join by the World Resources Institute as a Financial Partner. Our Stoll Estate in Guyana will be showcased as a restoration project that delivers valuable social and environmental benefits as well as ensuring the protection of pristine lands at risk of degradation. This is the first such project recognised in Guyana. You can see Initiative 20x20’s feature about Pomeroon here. The initiative — launched formally at COP 20 in Lima — supports the Bonn Challenge, a global commitment to bring 150 million hectares of the world’s deforested and degraded land into restoration by 2020, and 350 million hectares by 2030. Guyana - with its fertile lands and strategic position outside of the hurricane belt - is ideally positioned to become a major supplier of coconut water to the North American Market. Pomeroon Trading designed and sponsored a Women’s Empowerment Seminar Series in Guyana. The workshop – held for 50 women from the community – included presentations on gender equality, entrepreneurship and accessing finance. The seminar is part of the Women's Empowerment and Development Strengthening Project, an initiative to promote the socio-economic development of women by building an environment for social change in targeted rural areas. In addition, there was cervical cancer screening services offered free of charge to all women. The project was run in conjunction with the Ministry for Social Protection and the Cancer Association of Guyana. 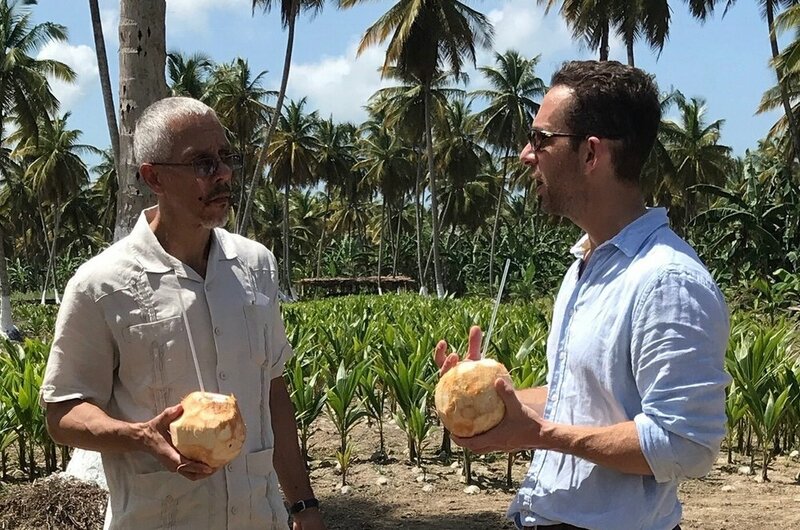 "Coconut Output to Quadruple by 2025"
A detailed article published by the Stabroek News covering the rapidly growing interest from the international investor community in Guyanese coconuts. The article also features the "Lead Farmer" programme, an initiative to "catalyze business alliance formation" between smallholder farmers and larger farmers. Pomeroon Trading has been a Lead Farmer since the inception of the programme. See the full article here. Pomeroon is looking for Chief Operations Officer to run our day-to-day business in the Caribbean. You will manage our operations across different agricultural assets, lead our expansion efforts, and be our representative in the region. See the full job description here and apply to join our team! Pomeroon Co-Founder & Director, Mr Neil Passmore, was invited to give a presentation called "The Rising Demand for Coconut Products" at a lunch in London organised by Global AgInvesting. One of the largest challenges facing the Caribbean coconut sector is supply of good-quality planting material. Pomeroon Trading is changing this. In December 2017 we began work on the Pomeroon Seedling Nursery – a venture we believe will become the Caribbean’s largest private sector nursery. 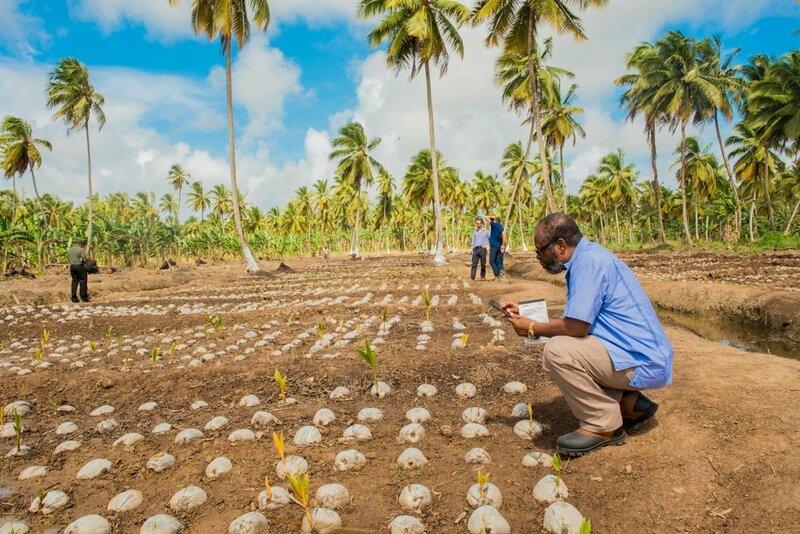 The availability of coconut seedlings is one of the key reasons for underperformance in the Guyanese coconut sector so we are tackling this problem at the most fundamental level. Existing estates are often ageing and unproductive: without the right planting materials the industry cannot revitalise. We are delighted to be partnering with The National Agricultural Research & Extension Institute of Guyana (NAREI), and the Caribbean Agricultural Research and Development Institute (CARDI). The organisations play critical roles in spreading knowledge amongst smallholder farmers. Their expertise and grassroots engagement in selecting the best seed-nuts from across the Pomeroon will ensure we are growing only the strongest and most productive coconut trees in the coming decades. Once selected, seed-nuts are classified and graded for quality. Our team plants only the top-tier nuts in our nursery, located at the Stoll Estate. 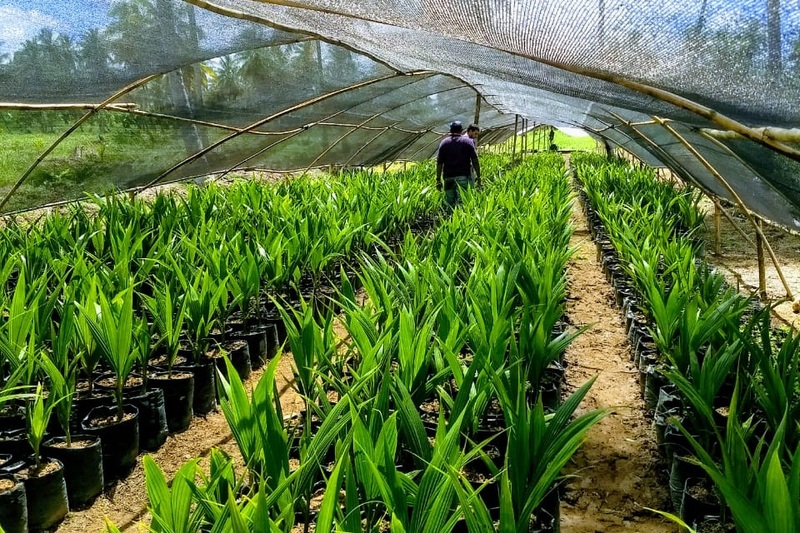 They will grow for 3-6 months in the fertile soil before being transplanted out to the fields where they will blossom into the next generation of mature coconut palms. Guyana Chronicle: "Pomeroon, A Plush Place"
Pomeroon Trading is featured in the Guyana Chronicle. Pomeroon CEO, Duncan Turnbull, argues in the Global AgInvesting Magazine, that as the Guyanese sugar industry is in terminal decline there is home from the sugar industry. Cane sugar has dominated more than just the Caribbean landscape: it is fundamental to the socio-economic fabric of the region. As Guyana prepares to turn off the sugar industry’s life support, another industry is awakening. Coconut exports, in metric tonnes, have increased by a factor of 40 since 2008 and farm gate prices have tripled. Pomeroon Trading has a strong community outreach program focused on education and female empowerment. Our first community project - completed in February 2018 - was building a dining room at Hackney Primary School. Prior to the new dining room, the children had to eat outside (in the direct sun) or inside (thereby dirtying the classroom) as there was no dedicated dining area. The new beautiful wooden dining room will accommodate all children and teachers, thereby facilitating the existing feeding program and teaching of dining etiquette. On Tuesday 6th February 2018, Hackney Primary School and Pomeroon Trading celebrated a joyous Opening and Blessing Ceremony of a newly donated dining room. Over 50 guests from across the world arrived in the Pomeroon and were treated to a magnificent celebration of song, dance, speeches, prayer and happiness. Hackney School is in The Pomeroon, Region 2, about 30 minutes along the river towards at the Atlantic Coast from Charity. The school educates 69 children (33 boys and 36 girls) aged between five and twelve. Under the excellent guidance of the Headmistress, Miss Verna Naomi Jack, they teach Maths, English, Literature, Social Studies, Science, Physical Education, Arts and Craft, Health and Family Life. For Mr Ted English, a carpenter from the Pomeroon who worked on the dining room, it was a particularly special project: as a child he was a pupil at Hackney Primary School! All children deserve a nutritious lunch in a clean and safe environment: this improves educational attainment and reduces truancy. We’re delighted to do our part and work with Hackney Primary School to foster education in the Pomeroon. Kaiteur News: "Massive Investment in Local Coconut Industry"
Pomeroon Trading is featured in the Kaiteur News.